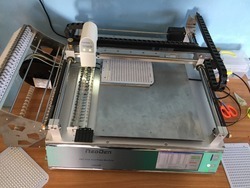 Our Company is equipped with latest machinery NEODEN 245 P for pick and place of LED''s,which removes the chances of error in our product having accuracy and NO REJECTION of products in market. 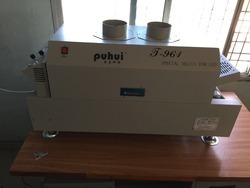 Our Company equipped with PUHUI T-961 for Reflow & Soldering of LED''s giving us bulk production for any quantity within minute of time. We are promoting House-Wives & Orphan girls in our work,helping them to support their families in living a standard life in the society. 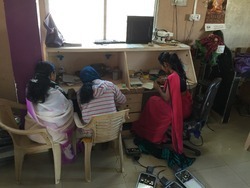 Also having trained staff for continuous Research & Development of product,also to rectify problems in the product,with after sales services in prompt way. Our company has developed an extensive infrastructure for performing the digital and technically sound activities for the smooth and convenient flow of functions. The company has adopted a fully equipped and adequate area for delivering the customised and environment-friendly products. The production of led light is carried out in clean, hygienic and safe surroundings for pleasing the consumers. In addition to that, the storage and packing are also given serious care so that the products are transported easily without damage and destruction.